Catch up with Seekers episode 5: The Eight Letter Word. Tune in to BBC Radio 4 next Thursday 9 July at 23:00 for the final episode of this series of Seekers: The Boy With the Wogan Tattoo: It’s the morning after Stuart’s stag night, his back hurts, & Mr Big is looking for him. Catch up with Seekers episode 4: Stu’s Birthday Tune in to BBC Radio 4 next Thursday 2 July at 23:00 for Episode 5: The Eight Letter Word: Stuart says something very silly, and Nicola tries to impress Vanessa to gain her confidence. Previous Seekers episodes: Episode 1: What Did I Miss? What Did I Miss? Stuart is back from America, and there have been big changes while he’s been away. The very funny radio series Seekers will be returning to BBC Radio 4 for series 2. Seekers is written by Steve Burge and stars Daniel Mays, Mathew Horne, Tony Paul Way, and others. Seekers is a sitcom about a Job Centre in the Essex town of Rayleigh. 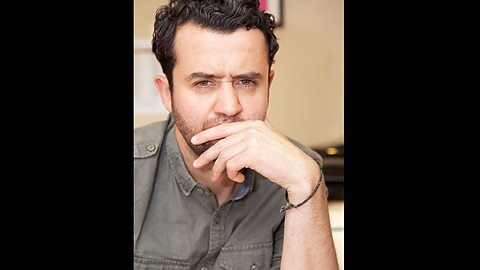 Daniel Mays portrays Joe: Joe doesn’t need a job – winding up Stuart is a full-time occupation already. Will have more information regarding transmission dates in the near future.